Known more for its college sports and the great city of Cleveland than its gambling and legal real money poker betting lore, Ohio has historically been opposed to gambling expansion. But due to the economic woes wrought by the financial crisis of 2008, OH, the Buckeye State, was in desperate need of a revenue generating outlet. One proposed solution: build land-based casinos and real cash poker gambling rooms. And that it did. Whether or not the state’s sudden change of heart towards poker gambling and real money betting will result in the passage of online poker legislation ushering in lawful Internet poker websites in Ohio is currently unknown, but Ohio and its 11.54 million inhabitants could certainly support a thriving stand-alone iGaming real money Internet poker operation. Like so many other states that recently approved the construction of land-based casinos and live real cash poker venues, Ohio is likely to take a cautious wait and see approach towards regulated online gaming and legit Internet poker. Factors such as the iGaming Internet poker market performance in New Jersey and the real cash gambling revenue generated from Ohio’s own casinos and legal poker rooms will most certainly weigh into Ohio’s decision, as will decisions made by other state governments regarding Internet gambling and real money poker websites. But for now, Ohio’s gambling community can take solace in the fact that their state is on the precipice of great change when it comes to real cash poker gambling. Gamblers from The Buckeye State can choose from a wide selection of our listed real money US poker sites. What are you waiting for? 2 Can Players from Ohio Play Online Poker? 3 Is Online Poker Legal in Ohio? The changes to Ohio’s gambling and betting climate began in late 2009. Feeling the pressure of a 10 percent unemployment rate, OH state officials passed Issue 3, which allowed for the construction of land-based casinos and real money poker gambling in Columbus, Cleveland, Cincinnati and Toledo . It was the first time in five tries that an Issue legalizing gambling and legal poker expansion passed, albeit by the slimmest 53 to 47 percent margin. Ohio’s first casino and live poker betting facility, the Horseshoe Casino in Cleveland, opened its doors in May, 2012 . The revamped facility features a nearly 100,000 square-foot gambling arena, over 2,000 slots, 63 table games and a 30 table WSOP themed real money poker gambling room. Since its launch, several casinos have opened their doors to Ohio’s faithful poker gambling enthusiasts, and to date Ohio plays host to four full-fledged land-based real cash casinos. In their first year, Ohio land-based casinos raked in a modest $616 million in real money betting revenues and more importantly created 6,000 new jobs . But as welcoming as Ohio has been to brick and mortar casinos and real cash poker rooms, it has become equally intolerant of Internet gambling and lawful poker websites. In May 2013, the Ohio Senate banned Internet cafes via an overwhelming 27-6 vote . The reasoning behind the ban – legal online sweepstakes that offered patrons the chance to play gambling games for real cash. Unfortunately the games somewhat resembled slot machines, and were deemed a loophole for Internet Cafes to conduct iGaming and Internet poker operations. Can Players from Ohio Play Online Poker? Although there is no official piece of legislature that would legalize real cash online poker websites in Ohio up for consideration, there are plenty of Internet poker websites accepting real money poker players from the Buckeye State. Do note however, that not all US-player friendly poker gambling websites permit players from Ohio. But thankfully, enough do that you should have no problem finding a seat at the virtual Internet poker felt. All US poker websites on our homepage are currently accepting Ohio players. Creating an Internet poker account is easy; 15 minutes should be more than enough time to choose a moniker, verify your identity, and make your first deposit to start gambling real money at the Internet poker tables from your home in Ohio. We’re not a legal authority on lawful poker websites, and as such, can only provide our informed opinions regarding the legality of betting on online poker games like Texas Hold’em at Internet poker websites in Ohio. But what we can do is offer you a condensed, easy-to-read version of Ohio’s somewhat confounding gambling and poker betting statues. This way, if you do seek legal consul, you’ll be equipped with a better understanding of existing OH state real cash gambling laws. The confusion surrounding Ohio’s betting and gambling statues begins with the definition, or rather the lack thereof, of gambling. However, a definition of gambling can be indirectly inferred from the definitions of Bet, Games of chance, Games of chance conducted for profit, and Gambling device. Games of chance in Ohio are defined as poker, craps, roulette, or other game in which a player gives anything of value, including real money, in the hope of gain, the outcomes of which is determined largely by chance, but does not include bingo. Anyone that violates the long list of provisions outlined Sections 2915.02, which includes bookmaking, gambling promotion, facilitating gambling or betting activity and to engage in betting or in playing any scheme or game of chance as a substantial source of income or livelihood is subject to a first-degree misdemeanour in Ohio, and those with a prior conviction history can be charged with a fifth-degree felony. Note that the last provision could easily apply to a professional real cash gambling poker player. According to Section 2915.03, no person, being the owner or lessee, or having custody, control, or supervision of premises, shall use or occupy such premises for gambling or betting in violation of Section 2915.02 of the Revised Code. The penalties for running such an operation in OH are the same as those for violating Section 2915.02 directly. Those caught gambling at a public house (hotel, tavern, store etc.) can be charged with a minor misdemeanor. Repeat offenders are guilty of a fourth-degree misdemeanor. Ohio’s extensive and long-winded gambling and betting statues go on to depict many more unlawful gambling and poker betting scenarios. If you wish to read more, please see the “References” section . Pari-Mutuel betting becomes legal for horse racing as its approved by the Ohio General Assembly. Lottery began in the state of Ohio due to constitutional amendment. Lottery tickets went on sale for the first time. Charity bingo became legal for the first time. Lottery profits are to be directed towards education funding after being approved by Ohio voters through a referendum. A new referendum gets passed which legalized gambling at four new casinos spread out through the state. They were to be located in Cleveland, Columbus, Cincinnati and Toledo. These casinos were proven to be really successful and generated a large amount of annual revenue. Since 1933, racetracks hadn’t really tried to add anything to boost their services, but in 2012 they started to offer Video Lottery Terminals. This technology was soon to be added to 3 more racetrack-casinos in the near future. Despite Ohio’s long-standing anti-gambling stance, the state has a surprisingly long and storied history of gambling and poker betting. Dating back to the days of first U.S settlers in the early-1800s, travelers, miners and other blue-collar workers could be found gambling it up at one of the state’s many saloons betting real money in legal games. Gambling was particularly prevalent in towns bordering the Ohio River, going so far as to attract the attention of residents from neighboring Midwest states. The first attempt to ban real cash betting on games of chance occurred in 1861, but given the distressed state of the Union at the time, they were hardly enforced. After the Civil War, authorities began requiring all institutions holding games of chance to possess a government issued gambling license. And by 1910, OH establishments hosting gambling activities like real money betting on Texas Hold’em poker were outlawed. Ultimately, the gambling ban did more harm than good, as it gave rise to Ohio’s burgeoning underground gambling and poker betting scene. In 1933, largely due to the economic turmoil caused by the Great Depression, Ohio legalized pari-mutuel wagering and real cash betting on games including real money poker. It was one of the first states to do so. Over the course of the next several decades, horse racing betting laws were expanded to include the legalization of phone and off-track betting. Voters approved the introduction of a state real cash lottery in 1973. Ohio would eventually expand its lottery operation to include a multi-state lottery. Proceeds from the real money gambling on the lottery are used to fund educational programs within the state of OH. Charitable gambling, casino and legit real money poker nights were also legalized in Ohio. Subsequently, talks about expanding into the commercial casino and real cash poker room market began in the 1990s, but it wouldn’t be until the late 2000s – twenty years and five tries later – that Ohio would finally approve the construction of full commercial casinos and real money poker gambling venues. Of the six most widely recognized forms of gambling: lottery, pari-mutuel, charitable, commercial, tribal and racetracks, only one – tribal – is not legal within the Buckeye State. However, there are strict penalties for participating in unregulated gambling activities like real money poker games which are not legal, as outlined in the sections above. Ohio poker players enjoy legal land-based games, and there’s plenty of online poker action, as the Buckeye State is a top contender to legalize online poker. The future legality of online poker and Internet poker websites within Ohio’s state lines remains something of a mystery. 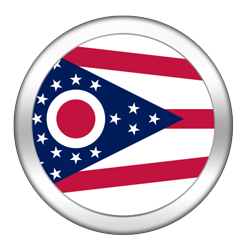 There has been a surplus of encouraging signs in the Internet poker world, most notably, Ohio’s rapid land-based real money poker room gambling expansion efforts. However, because casinos and real cash poker facilities require so much oversight, especially in their early days, OH state officials are devoting the majority of their efforts to Ohio’s existing real cash gambling revenue streams, not some speculative online operation of legal real money Internet poker websites. 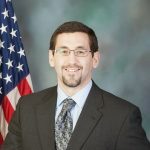 And even though Ohio Lottery Director Dennis Berg has gone on record indicating that the topic of online gaming and Internet poker warrants investigation , no lawful poker website gambling bill has yet been proposed by OH state officials. Coupled with the recent Internet café ban and it appears that Ohio is in no immediate rush, nor sees an overwhelming benefit, to regulating iGaming Internet poker and gambling on real money poker websites. That doesn’t mean online gaming and Internet poker will never come to Ohio, quite the contrary. Ohio pulls in far too much real cash betting revenue from gambling to simply disregard an alternative wagering avenue like legal poker websites in OH. In May 2013, the Hollywood Casino and legit real money poker room in Columbus hosted the state’s first major poker gambling tournament series. The 13-day Hollywood Poker Open featured single table satellites, super satellites and an unheard of 7-day $1,090 buy-in Main Event poker betting game . Shortly thereafter, in September 2013, the Horseshoe Cincinnati played home to a WSOP-C, 12 event real cash poker tournament series, which culminated in a $1,675 re-entry Main . After remaining stagnant for the better part of 20 years, Ohio’s gambling and poker betting industry is quickly picking up steam. Should Ohio’s four new commercial casinos and legal real cash poker rooms succeed, it is very likely that before long, the OH state government will at least explore the potential benefits of iGaming and lawful real money Internet poker websites. Although one gets the feeling that ultimately, Ohio’s entry into the online poker websites arena hinges on the success of New Jersey’s real cash Internet poker operation and the entry of neighboring Pennsylvania. Time will tell, but for now, Ohio is near the top of a relatively short list of states with a realistic chance of passing iGaming Internet poker legislation into law which means gambling fans could be seeing a legal real money Internet poker website for OH players pretty soon. ↑ Why Did Ohio Just Ban Internet Cafes? ↑ Is online poker headed to Ohio?